Bronze antoninianus, 18mm, 2.02gm, issued AD 270. 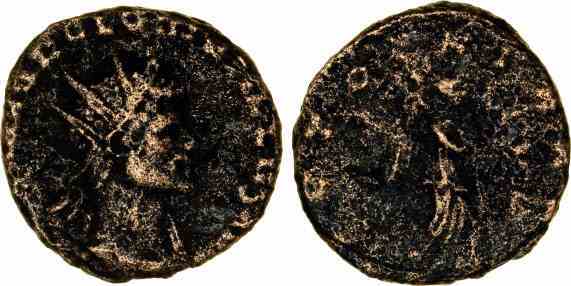 Rome mint. Obv: IMP C M AVR QVINTILLVS AVG, Radiate, draped bust facing right. Rev: VICTORIA AVG, Victory walking right holding wreath and palm. References: Sear 11454, RIC 33.